Hello! Jess here, reporting on my June activities with TCV. Apologies for the lateness! 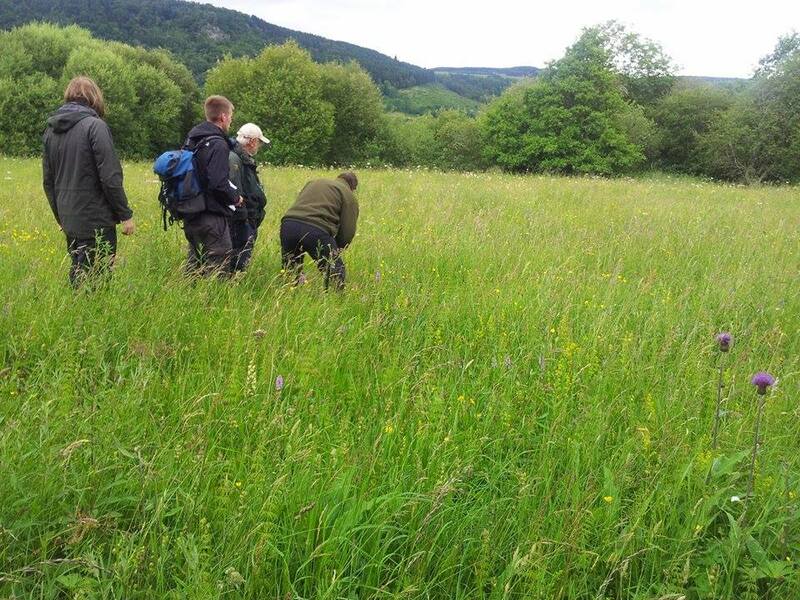 I had the absolute pleasure of visiting Kindrogan, the Field Studies Councils centre in Perthshire near Pitlochry, to participate in a weeklong course entitled ‘Discovering and Identifying Wildflowers’. 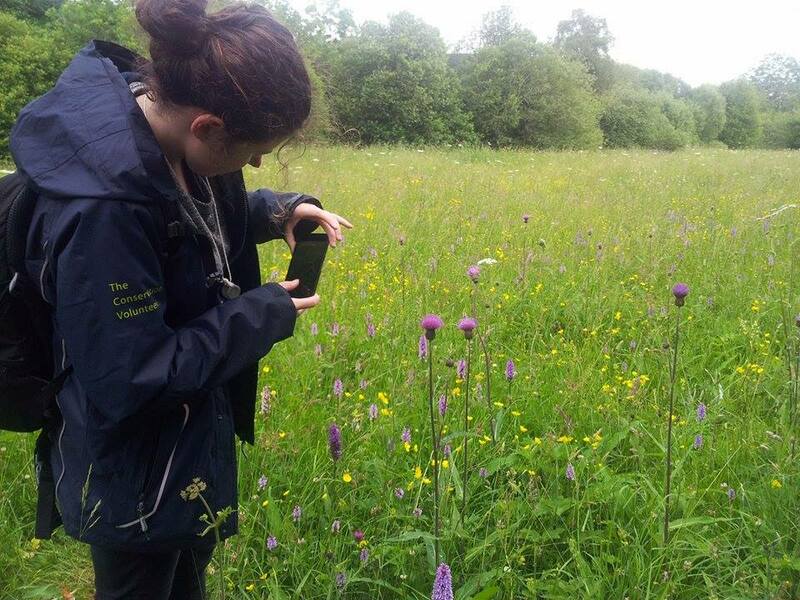 I decided to go on this course as I often lead general nature walks with volunteers and community groups, and have found on these walks that my knowledge of flora really wasn’t up to scratch. 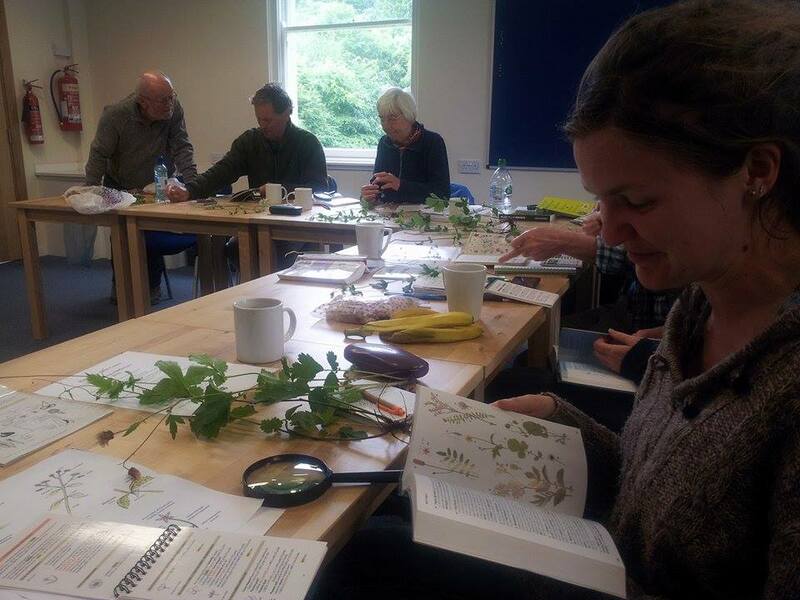 The Wildflower Society gave me a generous bursary so that I could attend this course. So I set off with fellow trainees Stephen and Lucy to become wildflower experts! 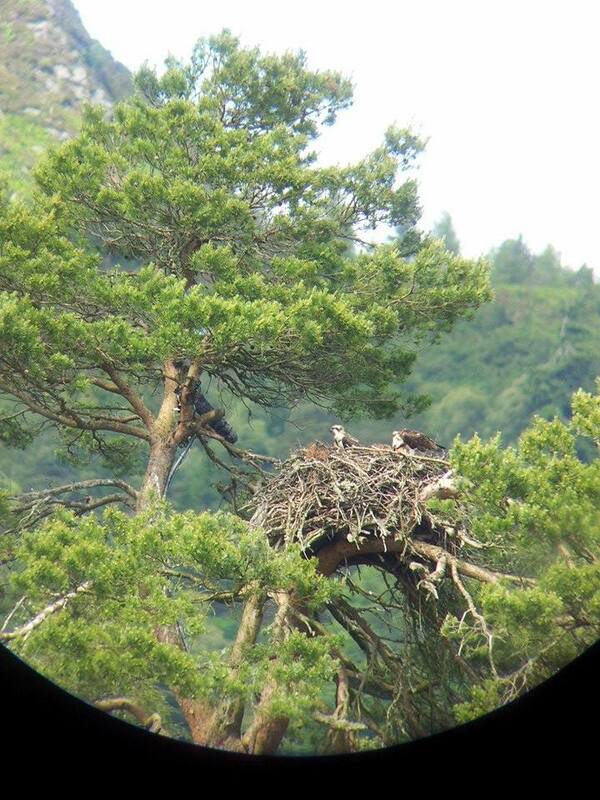 We stopped off en route to see a pair of Ospreys nesting by Loch of Lowes, a Scottish Wildlife Trust reserve, with their three chicks. We were treated to a fantastic view of the birds through telescopes and we watched the mother feeding a fish to the little ones (which were quite big). If you’re into wildlife, Kindrogan is the place to be! Based out in the sticks in Perthshire beside a forest, river, and meadows, Kindrogan has some pretty exciting creatures living there, or nearby. You’re also surrounded by other nature enthusiasts on all sorts of courses from nature photography, birds, mammals, fungi, and even freshwater algae! Right next to the centre is a wildlife hide where you are almost guaranteed views of red squirrel and pine marten! And we got to see both. 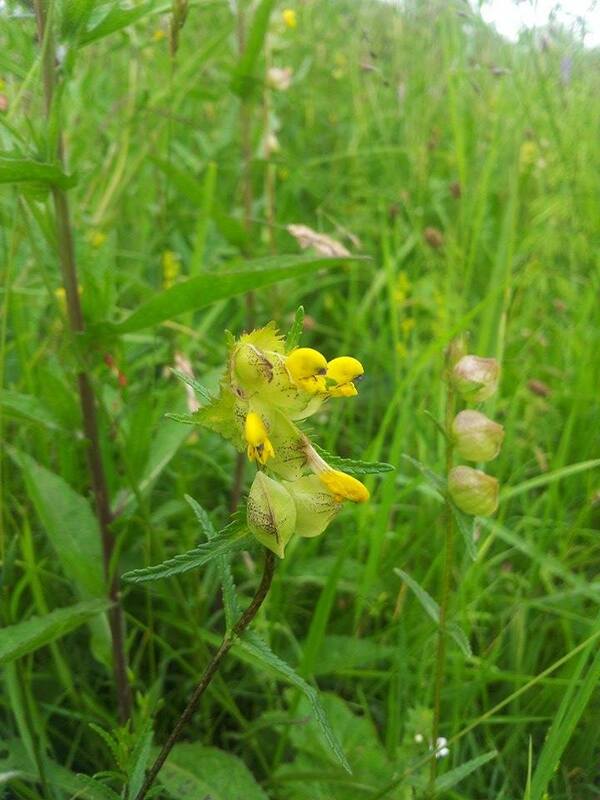 Yellow rattle is a fantastic flower! It is a brilliant food source for bees and it is semi parasitic which means it weakens grass to allow a more diverse array of plants to grow! Our wildflower trainer for the week was Martin Robinson, a local botanist who looked a bit like Richard Attenborough, which made me instantly like him. He took us to incredibly beautiful woodlands, uplands, and meadows in search of dinosaurs. Sorry, flowers. A real unexpected highlight was when Stephen and I took a stroll down to a nearby bridge and saw two beautiful otters swimming along! It was well magical! 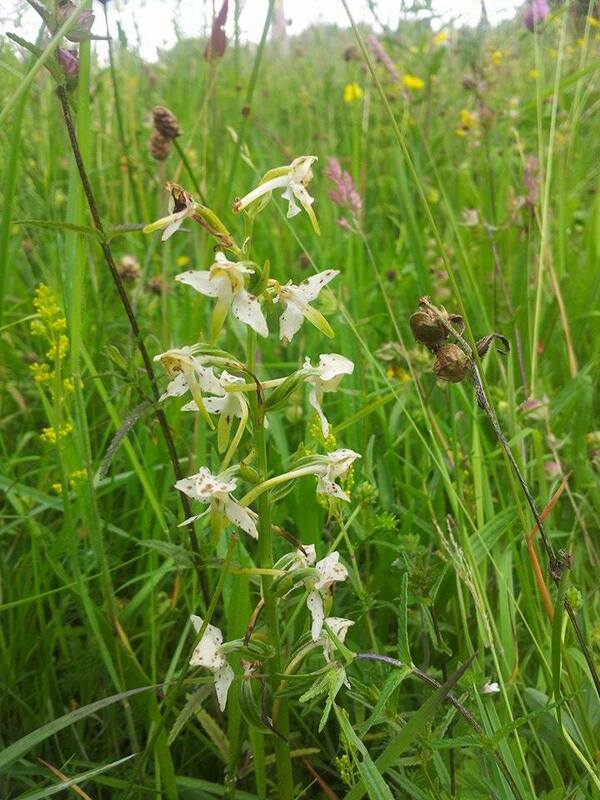 An unusual Greater butterfly orchid. These are pollinated by long tongued moths. My week in Kindrogan was not only fun, it was therapeutic. Being surrounded by wildlife and people who cared for it was inspiring and I would love to get to know a group of wildlife inside out, the way that Martin did with flowering plants, to then use that knowledge to help others explore and experience the natural world. The team visiting an amazing Northern hay meadow, I am normally a woodland loving girl, but this meadow was so diverse and beautiful! I trekked all the way to Dundee to show the Greenbuds group from DAMH (Dundee Association for Mental Health) how to do a Water health survey and teach them about freshwater invertebrates. 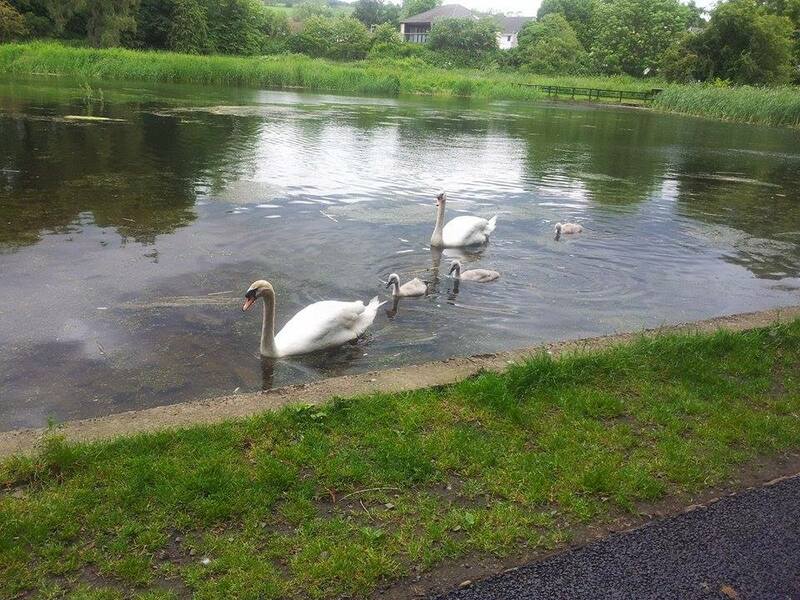 We had a great day until we were attacked by one of these deceivingly innocent looking swans. Some of us trainees got together to run a stall at RSPB’s Duddingston Bioblitz which was huge fun. We helped RSPB staff on recording walks and had a range of activities on our stall including making hapazomes and our pollination quiz. 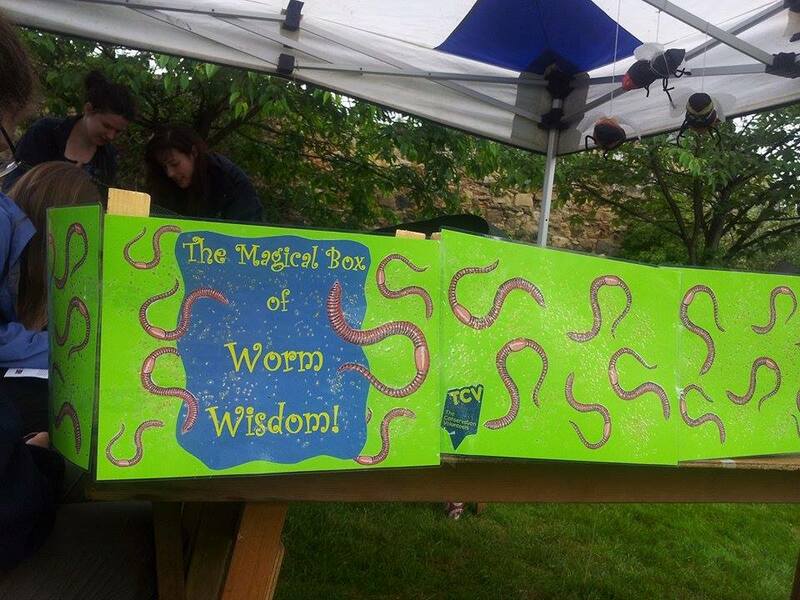 I took to opportunity to unleash my latest invention on the general public, The Magical Box of Worm Wisdom! 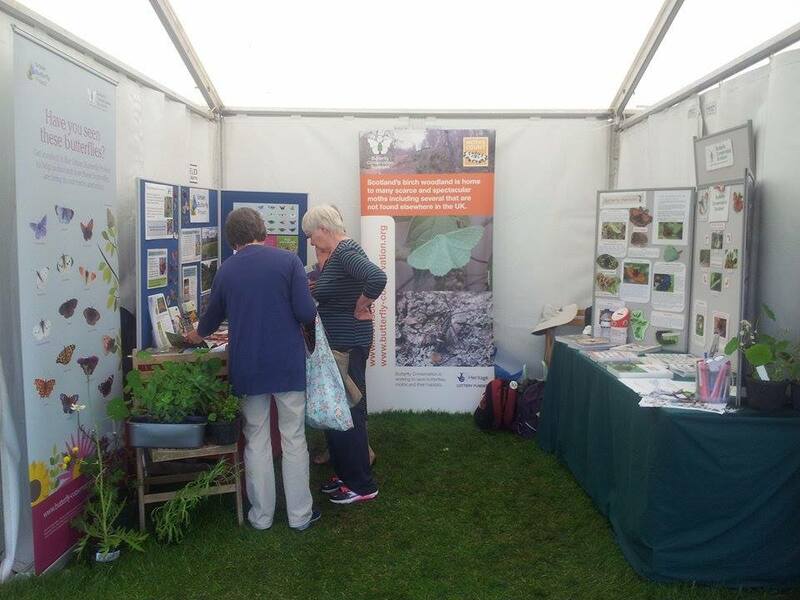 Earlier in the month I had an insect themed weekend where I volunteered with Butterfly Conservation Scotland at the Gardening Scotland festival in Edinburgh. I have become a bit obsessed with gardening for wildlife recently (ever since I built a tiny pond in my garden and a wee frog moved in!!) 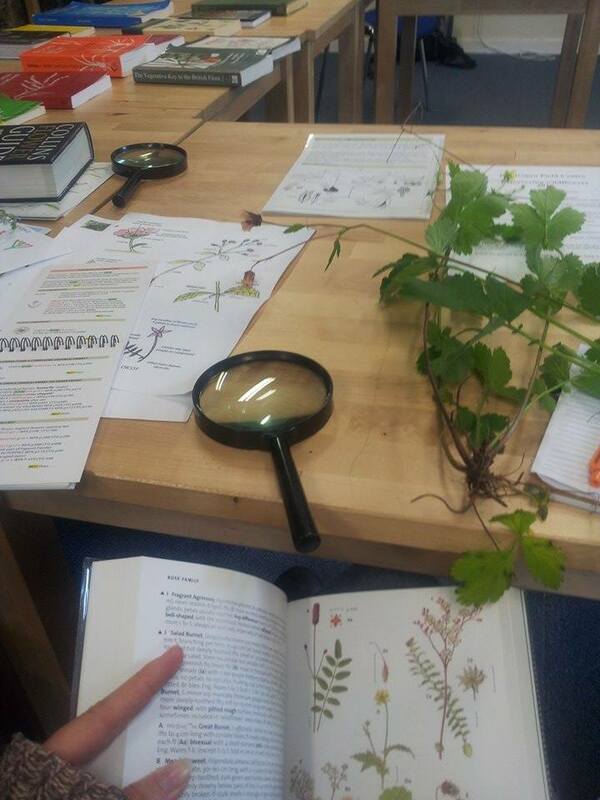 and I learnt lots about which plants support which species and got to talk about butterflies and moths all day! 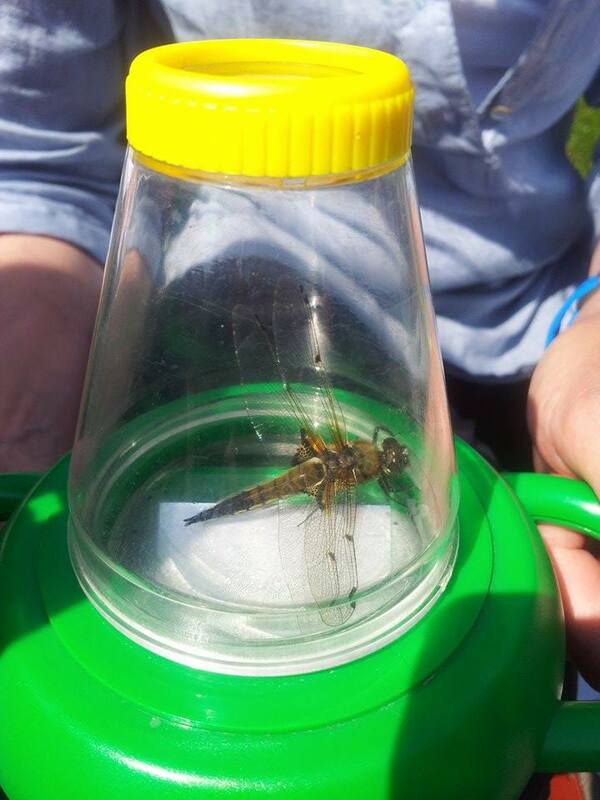 I then went on a Dragonfly Identification day with Danielle Muir from the British Dragonfly Society. What amazing little aliens they are! We pottered around Cumbernauld in search of these tiny weirdos in beautiful weather and saw large red damselflies, azure damselflies, common blue damselflies, four-spotted chaser dragonflies and a lovely small pearl bordered fritillary butterfly. I liked the course so much, I am going on another one in August! Over the next couple of months I am hoping to get cracking with my personal project , which is about deadwood. Yes, deadwood. All will be revealed in the next few blogs….ooOOOooo.